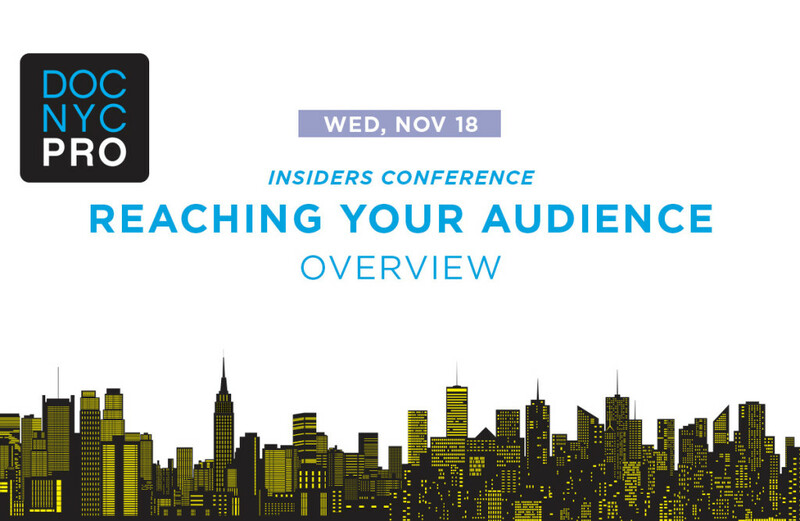 On Wednesday, November 18 (day 3 of our Insiders Conference), the Reaching your Audience panels explore distribution, outreach and new technologies. Start your day with a coffee and bagel breakfast, co-presented by SVA MFA Social Documentary Film. SVA Alumni will take part in a casual Q&A with attendees. The Morning Manifesto features newly appointed POV executive producer Justine Nagan who discusses her new position with public television’s leading independent documentary series and reflects on her past role at Chicago-based Kartemquin overseeing award-winning projects The Interrupters, Life Itself, On Beauty, In the Game and many others. End your day, relax and mingle at our Happy Hour co-presented by Docurama. Attend this day’s events with an All Access Pass, DOC NYC PRO Pass, an Insiders Conference Pass, or Reaching Your Audience Day Pass. Your pass also includes an onsite Bagel Breakfast 9:15-10, Happy Hour 5-6, and entry to the PRO lounge 9:15-6.